April 12, 2015 Categories Culture, Italian Cinema, Made in Italy, Music, Pino Daniele, Uncategorizedcinema, Culture, Genoa, Irene Grandi, Luis Bacalov, Made in Italy, Music, Stefano Bollani, Wayne Marshall1 Comment on All That Jazz! Warning: this is a post with a soundtrack, so crank up the volume! Altro che 3 Tenorini! as we would say. But I want to talk music, real music. 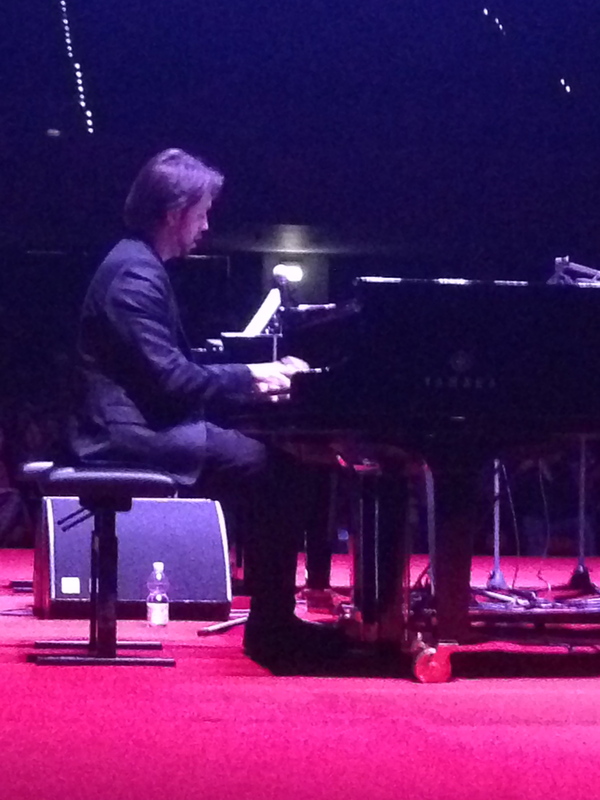 Friday night, for the first time ever, 3 pianists took the stage of the Auditorium at the Porto Antico in Genoa, and then they blew the roof off. 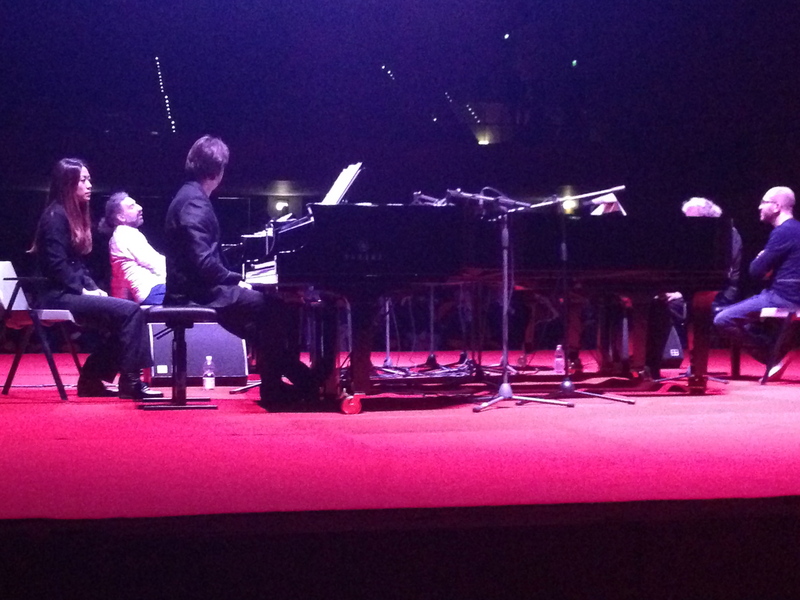 Trying to watch 3 pianos at once is harder than watching a tennis match! At least I had keyboard-side seats! 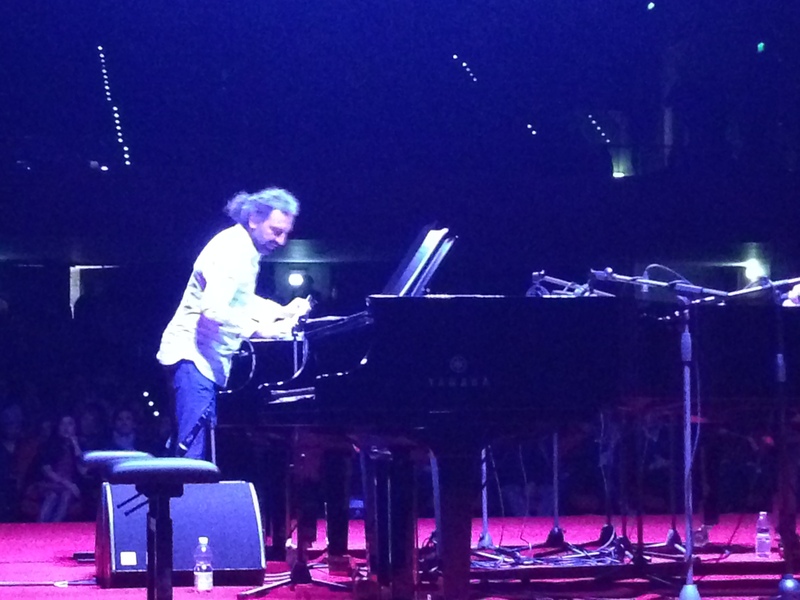 Stefano Bollani — for those of you who don’t know him, a living musical treasure — can do anything at the piano. Anything. This video with Wayne Marshall proves it: this is another concert in Genoa, last year at the magnificent Carlo Felice Opera House. Bollani is not only a sublime pianist, he is part impresario and presenter. His television program Sostiene Bollani brought an understanding of jazz into the homes of anybody up at that hour to see it. What a shame that programs like this aren’t on primetime! Here he is explaining the Blues. Grande! I mean, Grandi! Irene Grandi is the fabulous Italian voice there, and of course it’s an homage to the late, great Pino Daniele. Do I need to introduce Luis Bacalov? His Oscar for Best Original Score in 1996 for Il Postino put him on the music map. Born in Argentina, Bacalov has been in Italy for decades and composed scores for films like Django (taken up again by Tarantino! ), or even Pasolini’s The Gospel According to St. Matthew. All of this is required viewing, as well as listening. Otherwsie, stop reading now. 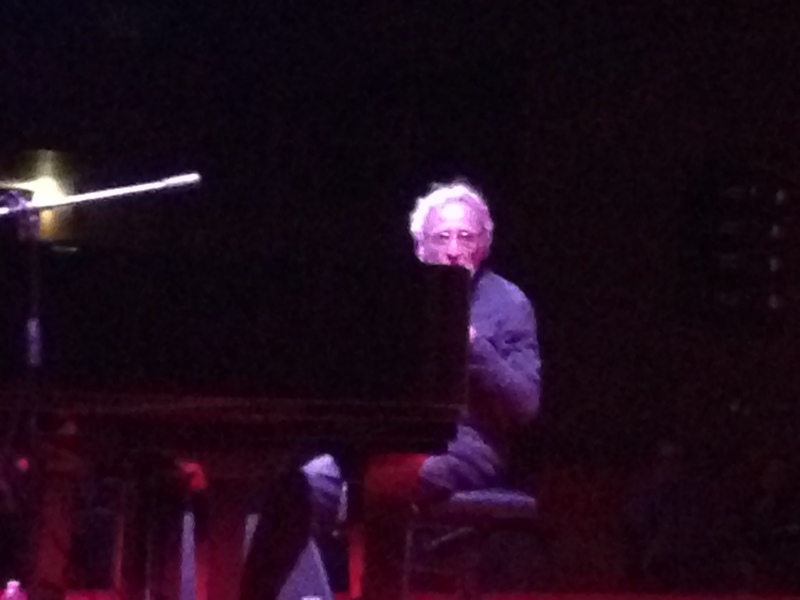 For me, the big surprise of the evening was Alberto Pizzo. 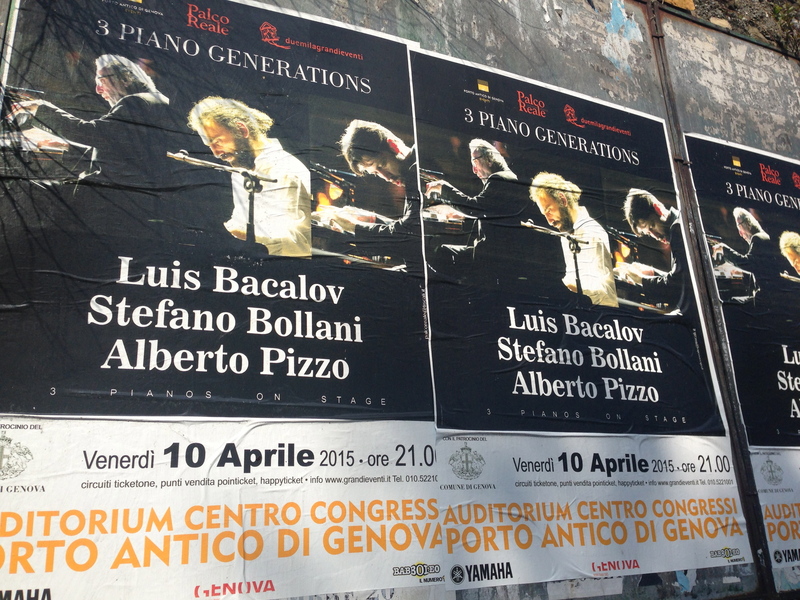 This is a name to remember, and a pianist to keep an eye on! How lucky are we that he is only 35? Great music for years and years to come! This guy brings passion and technique to new levels. And he composes. Do I need say more? Check out his Mediterraneo. You may be in time to use it for your Sunday Jazz Brunch. Previous Post When Life Gives You Lemons…. Make Limoncello! Next Post Would I Lie to You, Honey?